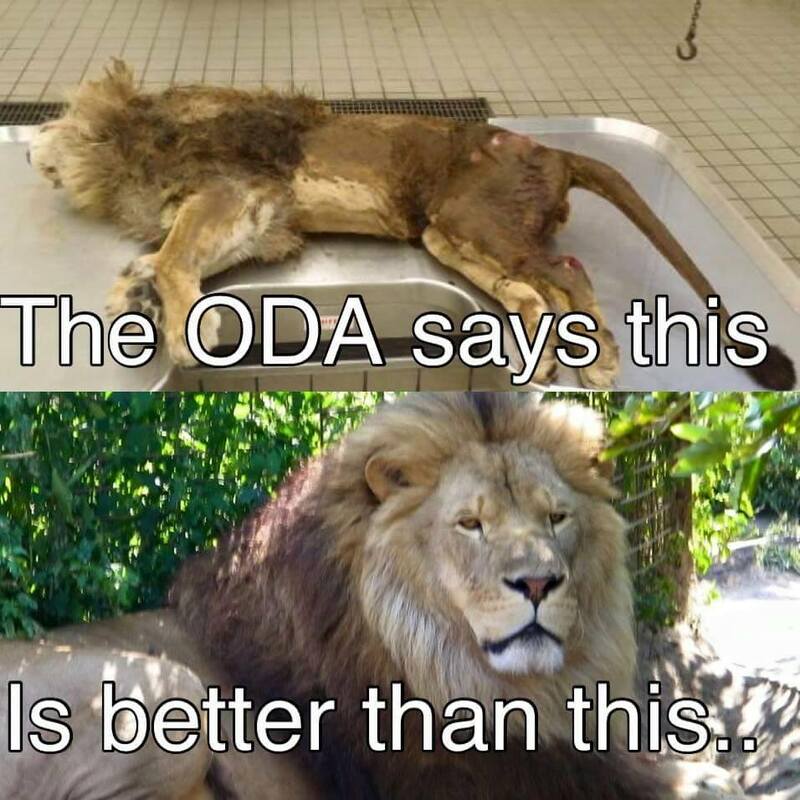 I saw this one coming-the writing was on the wall…Since when did the ODA ever obey any judge-Surprise was that they didn’t go ahead and move those animals before any court decision. Look at all the wasted TAXPAYER money with the new exotic animal regulations!!! 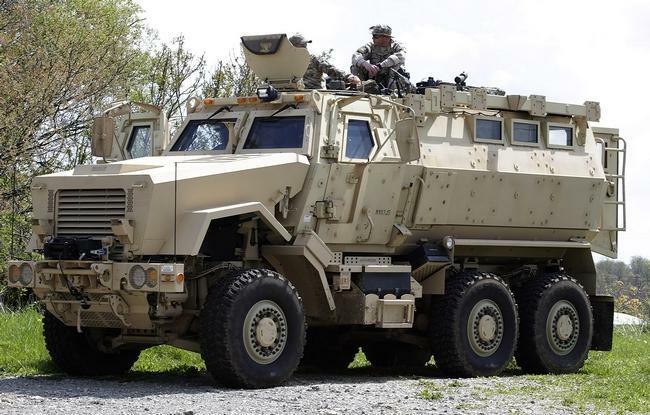 Bills from the Columbus zoo, vet, and transport-plus swat teams -Got that swat team to steal animals from their longstanding rightful owners based on an ILLEGAL and UNCONSTITUIONAL LAW! The most recent seizure was from Stump Hill-ODA (state of Ohio) is appealing the decision of the court to return animals to their rightful owners until their court date in August. The state wants to send the animals out of state before any hearing or trial which too is ILLEGAL an UNCONSTITUTIONAL! Governor Kasich is a poor representative of the state and the Republican Party which does not support civil forfeiture and Agenda 21/2030. 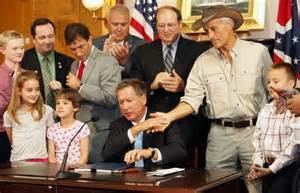 John Kasich does and so does his buddy Jack Hanna. Sure Jack Hanna supported this law as the Columbus Zoo will bill the state for services they will and have provided for the state -Less than satisfactory I might add-Obviously Jack Hanna has been a fraud for years -The Tiger Ridge animals suffered for more than two months from the care they received-No one saw the pictures of the animals following their stay with the ODA-That was all kept hush-hush so maybe the public wouldn’t find out just how little they know and care for these animals-You better believe Hanna didn’t want you to find out nor did the Columbus Zoo!!! State agriculture officials want the Ohio Supreme Court to remove a case involving seizure of exotic animals from the hands of a Stark County judge. Forchione delayed the return order for two weeks based on the advice of a state veterinarian who said the animals could be endangered by being anesthetized again so soon for a return trip. Canton attorney John Juergensen, representing animal owner Cynthia Huntsman, said the seizure of 10 animals was “completely unnecessary” because Huntsman was trying to work out an arrangement with the state. She has an Aug. 22 administrative hearing. The Department of Agriculture seized five tigers, two cougars, two baboons and a chimpanzee from Huntsman because she doesn’t have the necessary permits required under Ohio’s 2012 law banning ownership of unregistered exotic animals. Owners had to have registered animals and meet housing and care requirements by Jan. 1, 2014. Ohio’s exotic-animal law bans private owners from acquiring, selling and breeding restricted species in Ohio. The restricted list includes lions, tigers, bears, elephants, certain monkeys, rhinos, alligators, crocodiles, anacondas and pythons longer than 12 feet, certain vipers and all venomous snakes. The impetus for the law came on Oct. 18, 2011, when Terry W. Thompson released his menagerie of exotic creatures on his farm near Zanesville before committing suicide. Forty-eight animals — including lions, tigers and bears — were killed by law-enforcement officers to protect the public. Hasn’t anyone else connect the dots and the connection of Jack Hanna/Terry Thompson/Carole Baskin…??? Carole Baskin’s missing husband, Don Lewis, was declared dead. Their breeding facility became a ‘rescue sanctuary’, Big Cat Rescue; rescuing her own animals for years. Baskin has said some of the most vile statements have been stated to the general public about exotic animal ownership which are, simply put, LIES!!! Baskin has made it her mission to create bans that would effect private exotic animal owners. 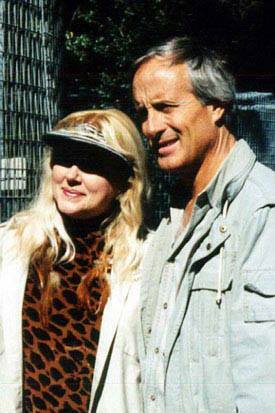 Both Jack Hanna and Carole Baskin have worked closely with HSUS, the Humane Society of the United States, Wayne Pacelle, ceo-HSUS. Carole Baskin has set a pace for Fanatical Animal Rights supporters. Big Cat Rescue has an excess of more than 4 million dollars with little to no money going for animal care leaving the animals living in deplorable conditions which apparently is approved of by FFC and the USDA/APHIS-No other owner would ever be allowed to keep animals in such poor conditions!-NONE COMPARE!!! ~ by topcatsroar on May 11, 2016.